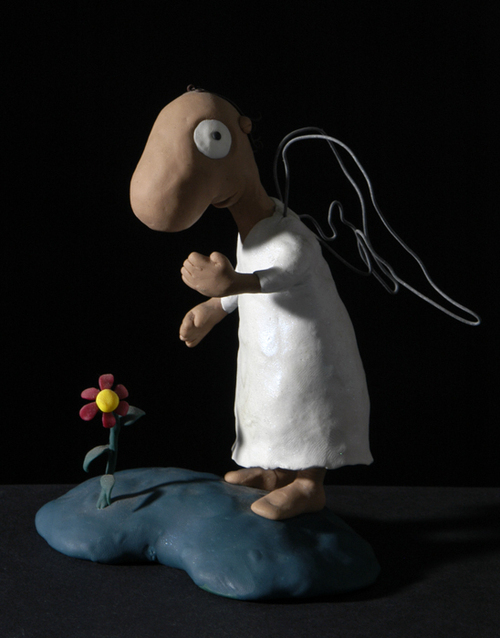 An homage to the great cartoonist Michael Leunig, this small sculpture was lovingly created with polymer clay over a wire armature, as a Christmas present to my dearly beloved. His wings were left as naked wire which just kinda worked. The teeny tiny flower was probably the most difficult of all!